Gtmhub OKRs Google BigQuery integration. You can connect Gtmhub to any table in a BigQuery dataset and create a Gtmhub entity based on it. Google BigQuery is enterprise data warehouse for large-scale data analytics. 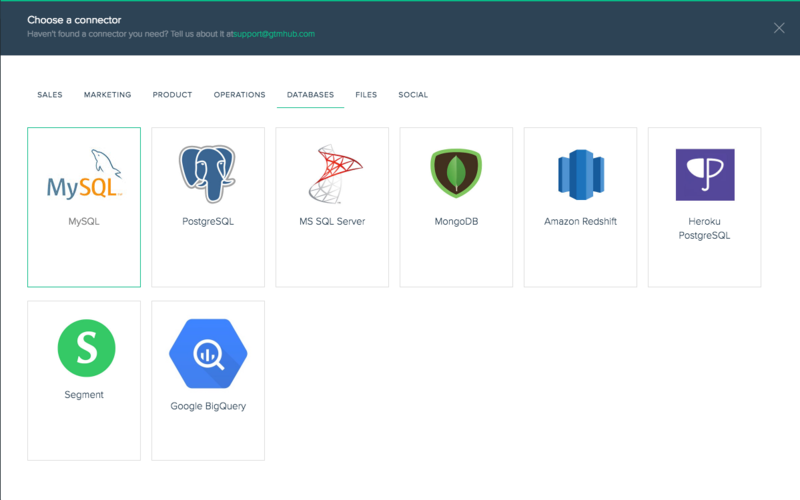 You can connect Gtmhub to any table in a BigQuery dataset and create a Gtmhub entity based on it. Gtmhub uses a service account with OAuth 2.0 authentication/authorization flow. 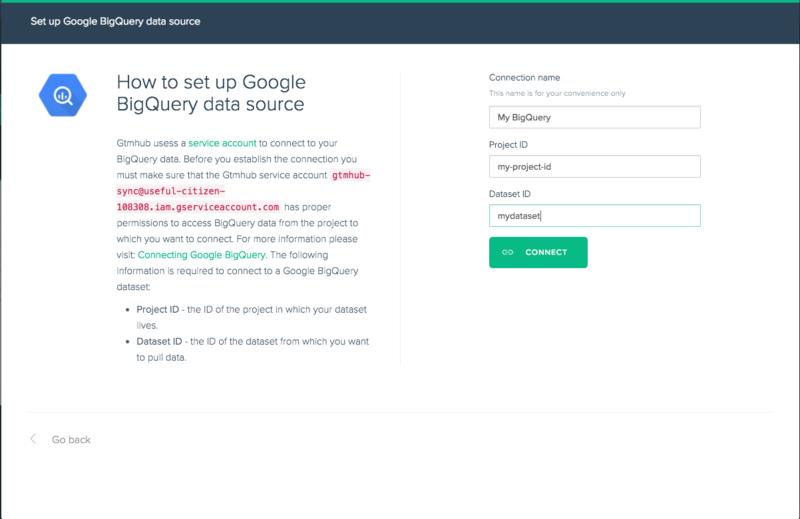 Before you establish a connection to your BigQuery data set you need to make sure that the Gtmhub Service Account for Google API has been added to your project and assigned the necessary permissions. We recommend that you use a custom role and assign this role to the service account. 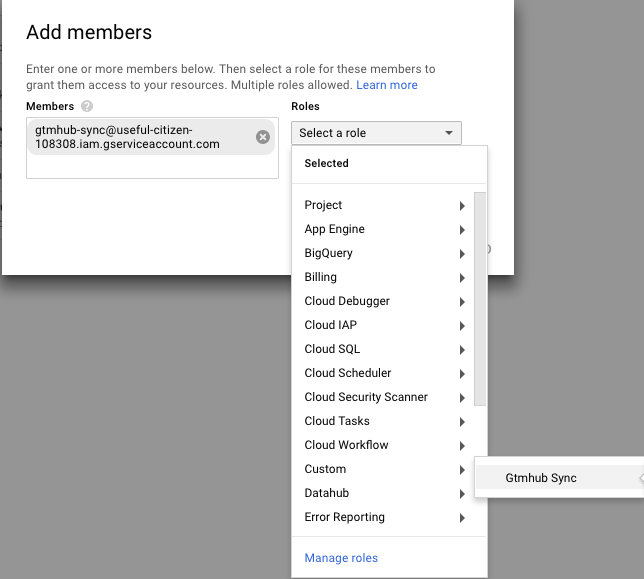 To create a custom role log in to your Google Cloud Platform account and navigate to the Console. Select the project where you want to create the custom role, then from the menu choose IAM & Admin > Roles. Fill in details for the role you will be creating. In the IAM & Admin management console go to the IAM section. Click on the Add button to add the Gtmhub Service account, then use [email protected] as the user email. Finally set the custom role created earlier. Click on the Connect button. 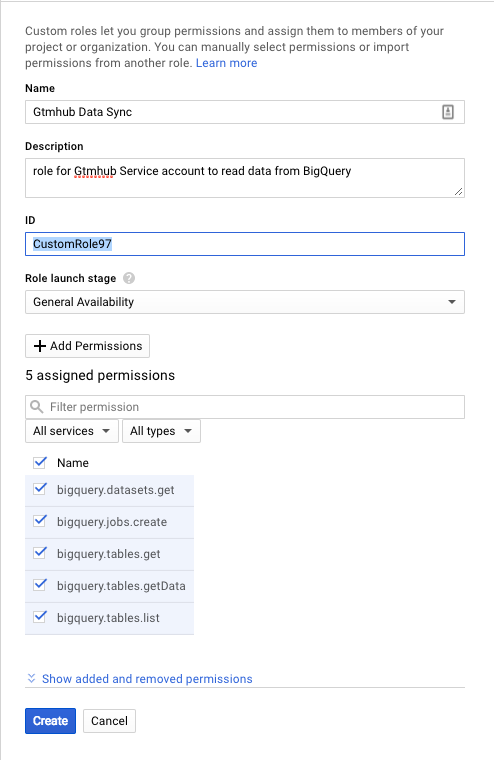 If Gtmhub has been granted the necessary permissions to read data from BigQuery you will be able to choose the table you want to pull data from. In this example we will use a table named employees. Select the table you want. Then choose its sync schedule.